What do you do with cartoonishly bad breath right before a date? That’s the simple premise behind Haring, a charming short animated film written, directed, and produced by Davor Bujakovic and Junaid Chundrigar for KLOMP! Animation out of The Netherlands. 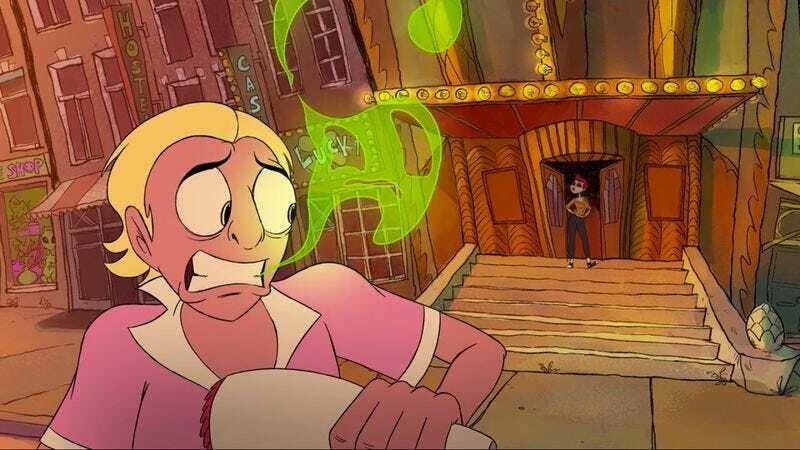 With a madcap energy that’s reminiscent of Chuck Jones’ shorts, viewers are entreated to the lead character’s desperate attempt to do away with his horrible fishbreath before meeting his date at the movies. The film is just debuting online now but played in front of Guardians Of The Galaxy in all Dutch Pathé theaters. It’s cool to imagine independent shorts like these getting such a wide release, though the juxtaposition between this light-hearted romp and the cancer-stricken opening of Guardians seems like a bit of an emotional whiplash. Still, the short, taken on its own, is an incredibly delightful and fun diversion that will have viewers yearning to pop a few extra mints into their mouths before their next romantic rendezvous. Or at least avoid eating herring sandwiches like all rational-minded folks should. Haring from KLOMP! Animation on Vimeo.